Imagine the nothing-quite-like-it goodness of your favorite Buffalo-style chicken wings—that wondrous tang! That just-right bit of a spicy bite. 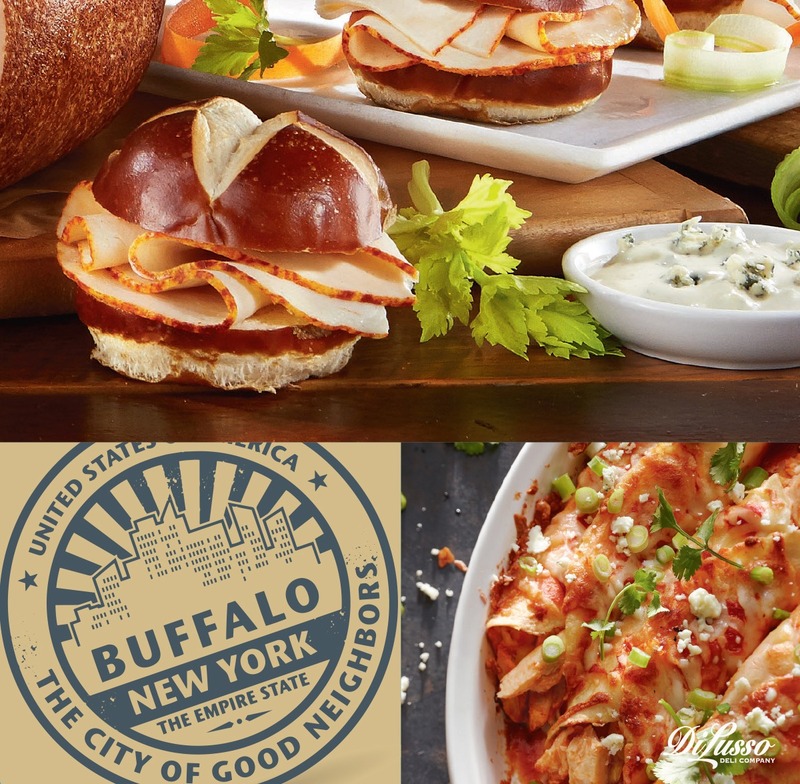 Oh how we Americans love our Buffalo chicken—even if we aren’t from New York! 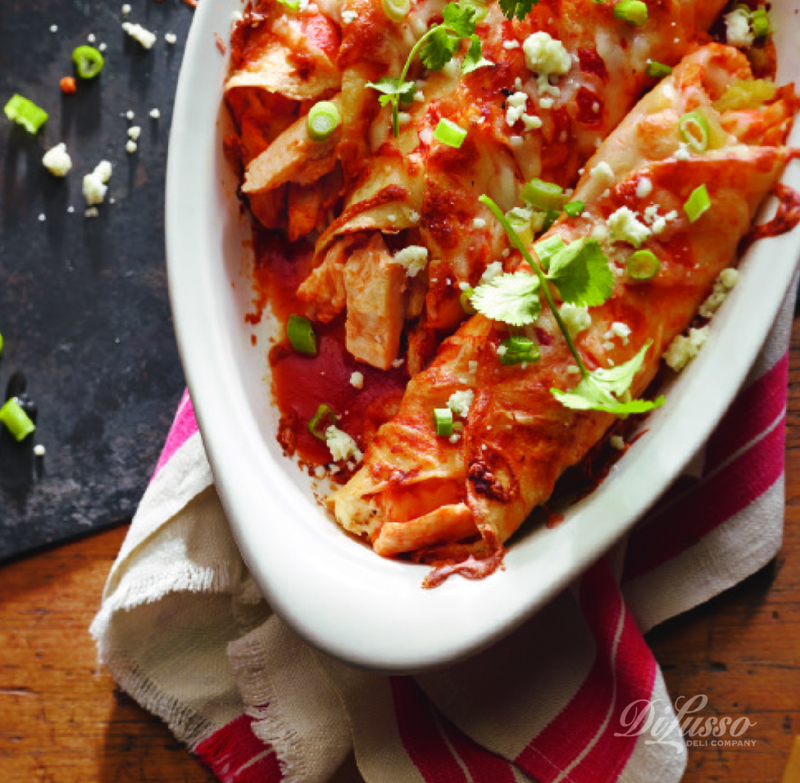 Buffalo Chicken Enchiladas: An exciting variation on the expected, great for a weekday dinner served with a green salad. 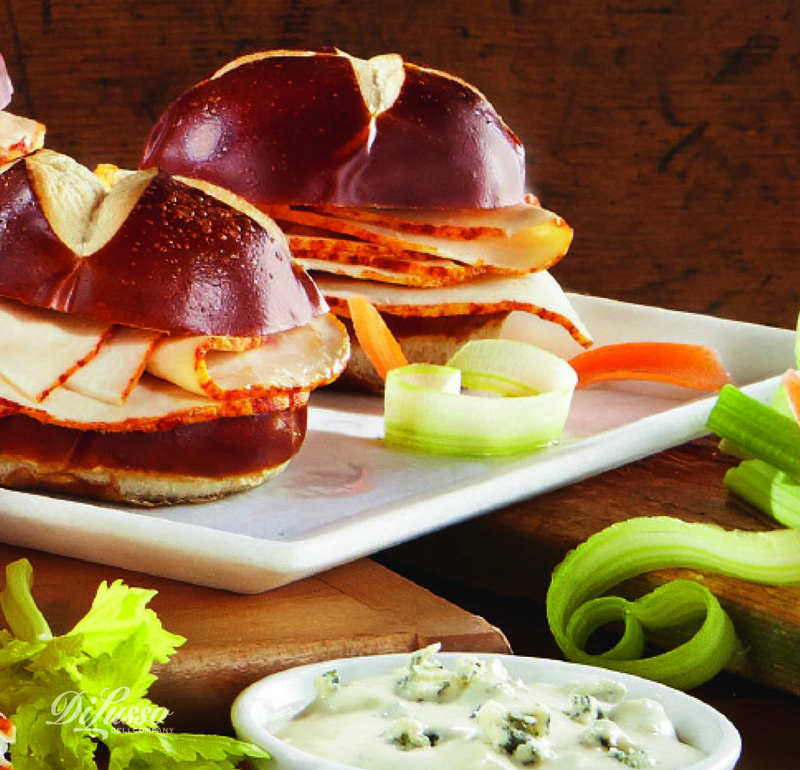 Buffalo Chicken Sliders: Like Buffalo wings, but a lot less messy! 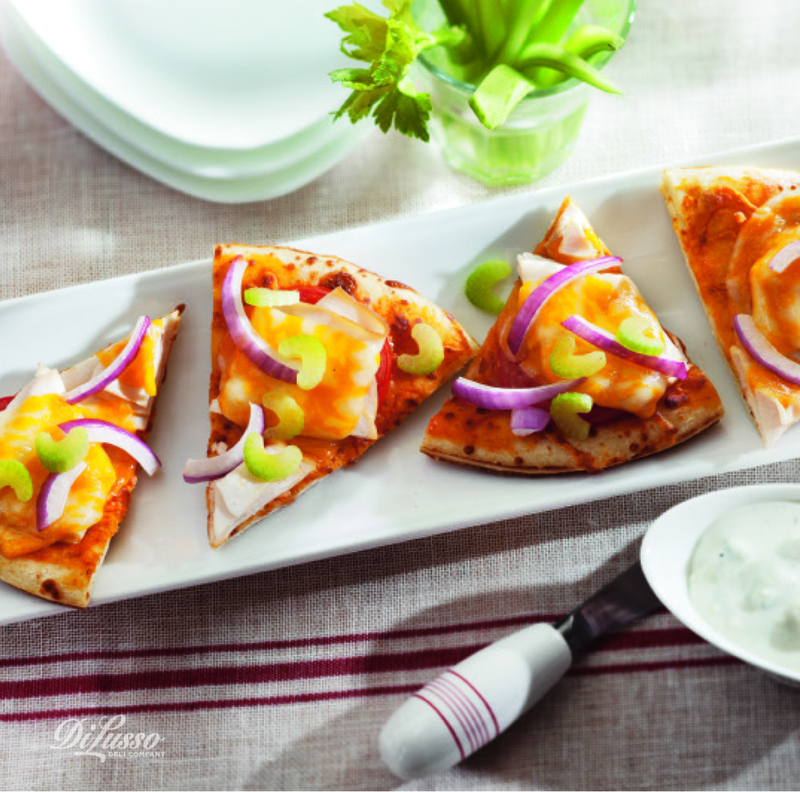 Poco di Pizza: Small food is always fun to eat, especially when it tastes this good. 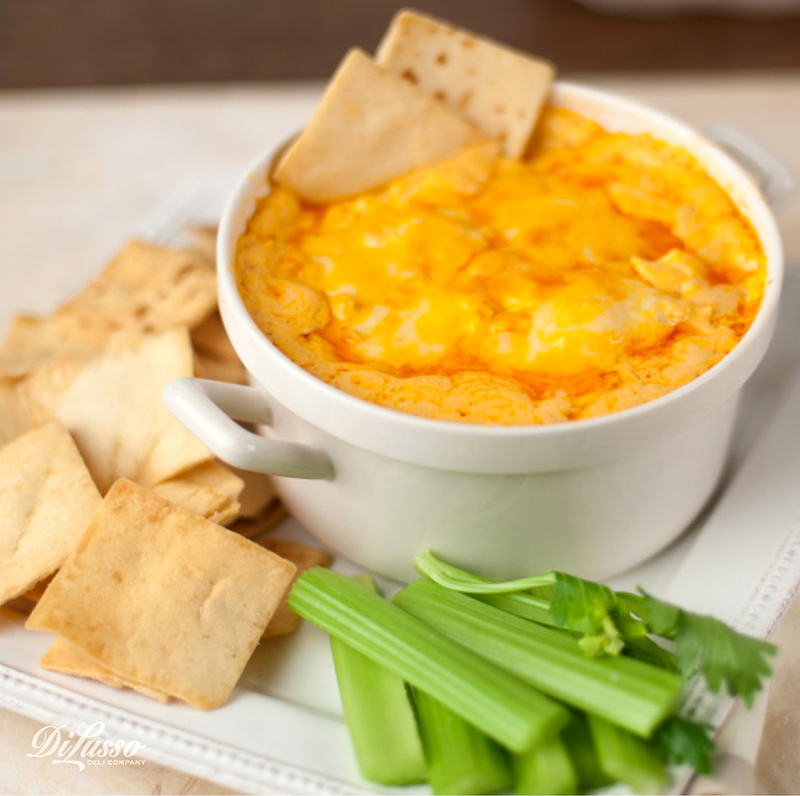 Buffalo Chicken Dip: Another way to enjoy the beloved flavor of Buffalo wings, with all the fun of a dip. Mix together 8 oz softened cream cheese; 1 cup DI LUSSO® Medium Cheddar and/or Mozzarella cheese, cubed or chopped; 1⁄2 cup bottled blue cheese or ranch dressing; and 2 cups DI LUSSO® Buffalo Chicken Breast, roughly chopped. Taste, and if additional heat is desired, add Buffalo sauce to taste. Bake mixture 20-25 minutes at 350° until hot and bubbly. Serve with celery sticks, crackers, and/or chips.